Plot: An elderly bank robber, who had managed to escape from prison over a dozen times in his life before moving to a retirement community, looks to spice things up with another heist. Starring: Elisabeth Moss, Robert Redford, Casey Affleck, Sissy Spacek. 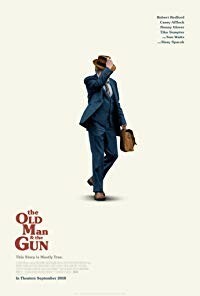 distributed by Fox Searchlight «Old Man and the Gun» in the US movie theaters released on September 28, 2018 and has grossed over $10 million worldwide; dvd and blu-ray release date was set for January 15, 2019. Rent from Netflix and Redbox from January 15, 2019. «Old Man and the Gun» in the UK released in movie theaters on December 7, 2018. The movie estimated to release on dvd and blu-ray some time in March or April 2019.